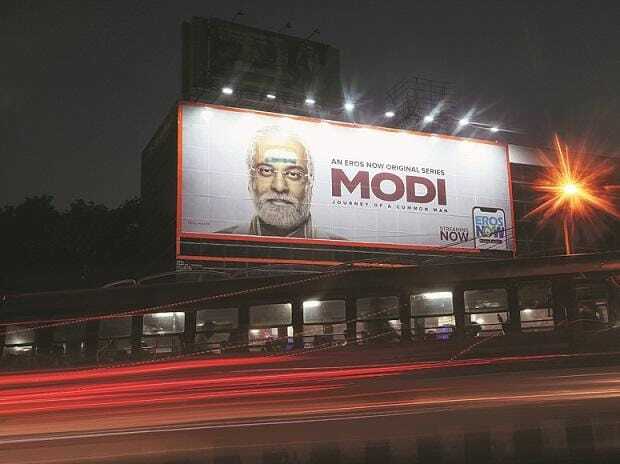 The Election Commission (EC) on Wednesday banned the screening of the biopic on Prime Minister Narendra Modi, as also two other movies with political content, during the election period. The EC has put a watch on the telecast of NaMo TV as well. The EC said it had received specific complaints against the biopic ‘PM Narendra Modi’, ‘Udyama Simham’, based on Telangana Chief Minister K Chandrashekar Rao’s life and ‘NTR Laxmi’ on the life of Telugu Desam Party (TDP) founder N T Rama Rao. However, the order covers all other such movies, content on television and internet. The EC has also banned publishing of any poster or publicity material related to the movies in the print media. It has proposed setting up a committee headed either by a retired judge of the Supreme Court, or a retired chief justice of a High Court, that would look into complaints of violations of the model code of conduct in any other movies. The EC order came in response to complaints that Opposition parties had filed, and a day before the scheduled release of the biopic on Modi and the first phase of polling to 91 Lok Sabha seats across 20 states, and simultaneous Assembly polls in Arunachal Pradesh, Andhra Pradesh, Sikkim and Odisha. In its order, the EC said any content that served the purpose of any political entity or individual not be displayed in the electronic media. It said such ‘political content’ posed a “serious threat to the level playing field” and ought to be regulated during the election period to prevent violation of the model code of conduct. Congress sources said the party also objected to a web series on the PM. The EC order pointed to Article 324 of the Constitution to state that it is the duty of the commission to take necessary measures to create a level playing field and provide a conducive electoral environment to all stakeholders. It said the EC is of the considered view that there was an emergent need for intervention in the matter of those ‘political contents’, which are intended, or purported to be, for benefitting or discrediting the electoral prospect of any candidate or political party to ensure a level-playing field. On Tuesday, the Supreme Court dismissed a petition filed by a Congress activist seeking stay on the release of the biopic, but had said the EC would be the “appropriate” authority to take up the issue.